Our Owner-Builder Steel-Frame Kit-Home in Progress: Installing toilet! We have been given permission from the council to install the composting toilet before the Complying Development Application has been approved, which will make the next step of being approved to live on the land in a caravan so much quicker. It should be pretty easy to install the composting toilet, as it is a self-contained unit which we just plonk on the floor and have a drain going out the wall. Also we need to install a vent pipe going out of the shed roof, it will be interesting to see how we manage to cut the hole for that to go through! I think we bought one of those old-fashioned hand-drills for other property jobs, so that should come in handy... The drain going out the wall can either go into a plastic container to catch the liquid or can drain into a trench which has slotted pipe, drain matting and gravel. We also have to install a greywater system for the caravan sink, which will involve a grease trap and a trench with slotted pipe, drain matting and gravel. This means lots of digging! We can't get our tools up from Sydney anytime soon so we have to buy more *sigh* The good news is that the local hardware store can source anything we want from Casino or Lismore and deliver it to us for a very small delivery fee. So now we are trying to organise and coordinate getting stuff delivered to the property while we go down there for a visit, a bit tricky since once we leave Bris it will be hard to communicate with anyone. 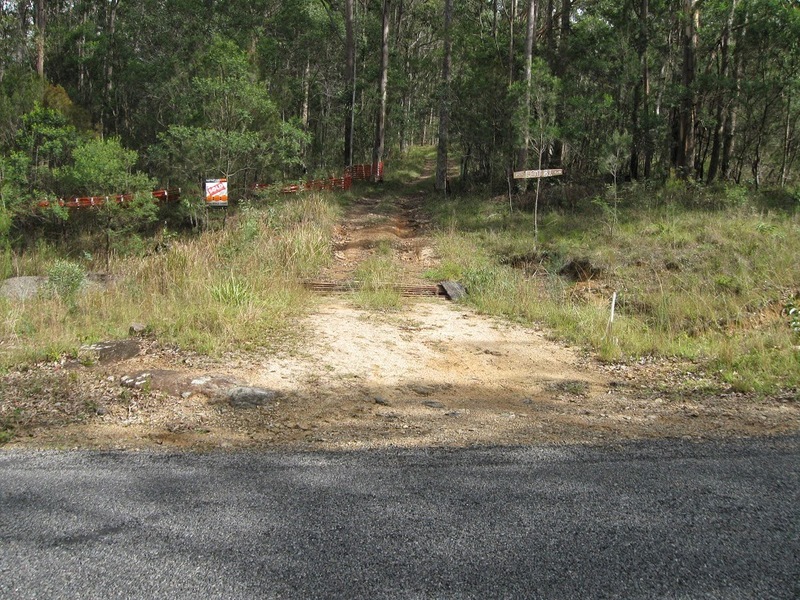 Another job we need to do is try to fix the dodgy driveway a bit, just enough to make it ok for non-4WD vehicles to drive up for our deliveries! Here's hoping it doesn't rain, cos that makes the clay really slippery :( Also I want to mark the trees which we are going to get knocked down, pretty much all of the ones within the 33 metres from the house zone, but maybe we will keep just a couple, as long as they aren't close enough to fall on the house in a storm!